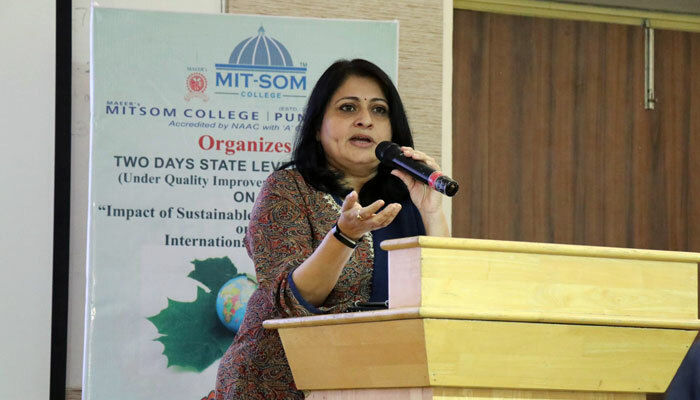 MIT-SOM College under Savitri Bai Phule Pune University Quality Improvement Program had organized Two Day State Level Workshop on Impact of Sustainable Development Goals on International Business on 10-11 Feb 2018. The key note address was given by Dr. A.V.Vartak who is Retired Professor - Petroleum Technology from Nowros jee Wadia College, on the subject Impact of Climate Change on Fossils& Business. Second session was conducted by ByMr.Ankit Gaurav (Project Leader Terre Policy Centre) On Role of Sustainable Development Goals in Urban Forestry. Fourth session was conducted By Dr.MedhaTadpatrikarOn Climate Variations & Sustainable Goals & its impact on International Business	. Mrs.Shalaka Deshpande conducted session on E-waste management for the students in which, we have collected E-waste from students. 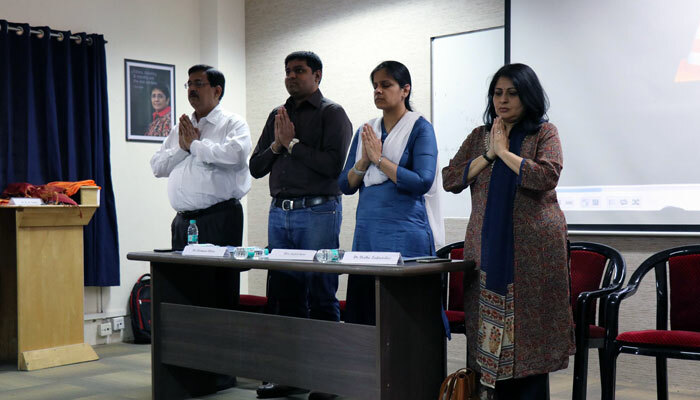 These sessions were motivating for the students and faculties to encourage and practice business in a sustainable manner.